HCM City (VNA) – Bouygues Construction company under the France-based Bouygues Batimet group is interested in the Rach Chiec sports complex in Ho Chi Minh City and is seeking suitable cooperation with the city in the project. Chief Representative of Bouygues in Vietnam Murli Metharam made the statement during a meeting with Chairman of the municipal People’s Committee Nguyen Thanh Phong in the city on August 23. Bouygues with strengths in construction, finance and real estate, has developed construction projects like buildings, hotels, hospitals and transport systems in over 30 countries worldwide. In addition, the company has considerable experience in building large sports complexes meeting international standards like those in the UK, France and Singapore. He affirmed that his company has sufficient financial and human resources to carry out projects in a timely manner. 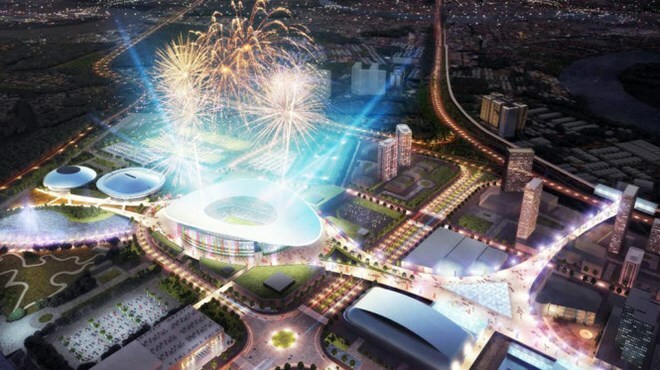 Meanwhile, Phong stressed that Ho Chi Minh City is calling for foreign investors to join in the construction of the Rach Chiec sport complex, which is intended to be a destination for large-scale sport events in the future. The city is giving a push to land clearance and creates favourable conditions for foreign investors to participate in the project, he highlighted.